They put the verb in wrong position when using it in “weil”-sentences. The solution is simple: they should use “denn” instead of “weil”. This is a good advice for the learners too. This is a common mistake in spoken language among German native speakers. No German would make this mistake in written. Researchers Gerard Kempen und Karin Harbusch have analysed talks of 1000 adults and filtered causal clauses out. They found out that in 34 % cases – the verb was in the wrong position, in 39 % in the correct position and 27 % used “denn” or “da” insted of “weil” which prevented them from making the mistake. The main reason for this is that speakers do not have enough time to plan the sentence ahead or they just don’t know how the sentence will end. 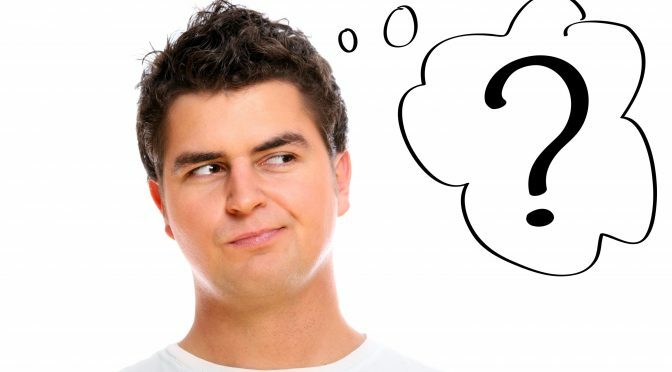 The researchers of the Max Plank Institut say that normally speakers make the decision to add a causal sentence too late which why they do not have enough time to build it correctly. In order to avoid this mistake, researches advise that you try using “denn” instead of “weil”. Kohle (coal), Mäuse (mice), Knete (dough), Kröten (frogs), Kies (grit), Moos (moss), Marie, Zaster, Flöhe (fleas), Pinkepinke (cha-ching), Pulver (powder), Lappen (rags), Piepen, Koks, Schotter (broken rocks), Rubel, Riesen (giants), Flocken (flakes). For detailed explanations click here. 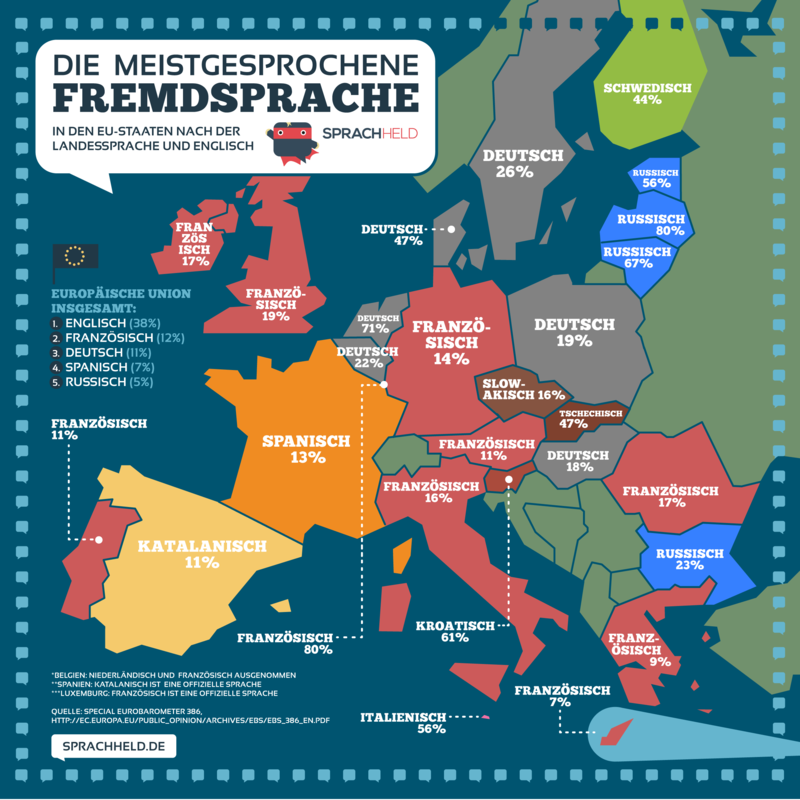 German is the most spoken language after English in: Poland, Sweden, Belgium, Netherlands, Denmark and Hungary (gray area on the bellow map -> click on the map to see it better). Sometimes we write “ue” instead of “ü” when we want to avoid using Umlaut (for example, if we are using English keyboard). However, the last name “Hueber” which is the name of the large German publishing house whose text books for learning German we all use, should be pronounced as “Huber”. An anecdote about this can be read here. “Gesellschaft” (“companionship” or “society”) was one of the two winning words in this year’s National Spelling Bee in America which was held on May 26, 2016. The winning words spelled by each contestant were “Gesellschaft “and “Feldenkrais”. Of course, “Gesellschaft“ is a word which was borrowed directly from the German. This is not the first time that one German word appeared in the final round of this competition. Previously that were: “Ursprache”, “Weltschmerz” and “Heiligenschein”. You don’t have to know the foreign language perfectly in order to use it in a conversation. You don’t even have to know every word. You actually need 5 verbs in order to communicate in German: sein, müssen, wollen, können and machen: Was machst du? Ich mache gerne Sport. Ich bin Arzt. Wie ist es in Deutschland? Ich bin gerade Suppe essen. Read more about it here. 10 % through the formal material provided in classes; 70 % through interaction with other people; 20 % in informal learning contexts. 132 million people are native German speakers, while 14,5 millions learn German as a foreign language across the globe.